A chargeback is the reversal of a credit card payment, forcibly initiated by the cardholder through the issuing bank of the instrument used to settle a debt. After the bank verifies the claim and an investigation occurs, the bank validates the cardholders request, and removes money from the merchant’s account back to the customer. Any chargeback request received, it will be verified conform to the regulations of the relevant card issuer. In some cases, you may need to provide via email additional documentation in order to resolve the chargeback. the customer claims he has never received the products or services. We strongly recommend you to avoid such situations where the customer initiates a chargeback process. Refunds are always preferable than chargebacks because no negative chargeback score is related to your account and they increase customer satisfaction. The chargeback process can be very costly while it includes chargeback fees and it can be time-consuming while gathering required documentation. Also, there are situations where chargebacks can be non-disputable, meaning the dispute is always lost and you have no control over the chargeback process. 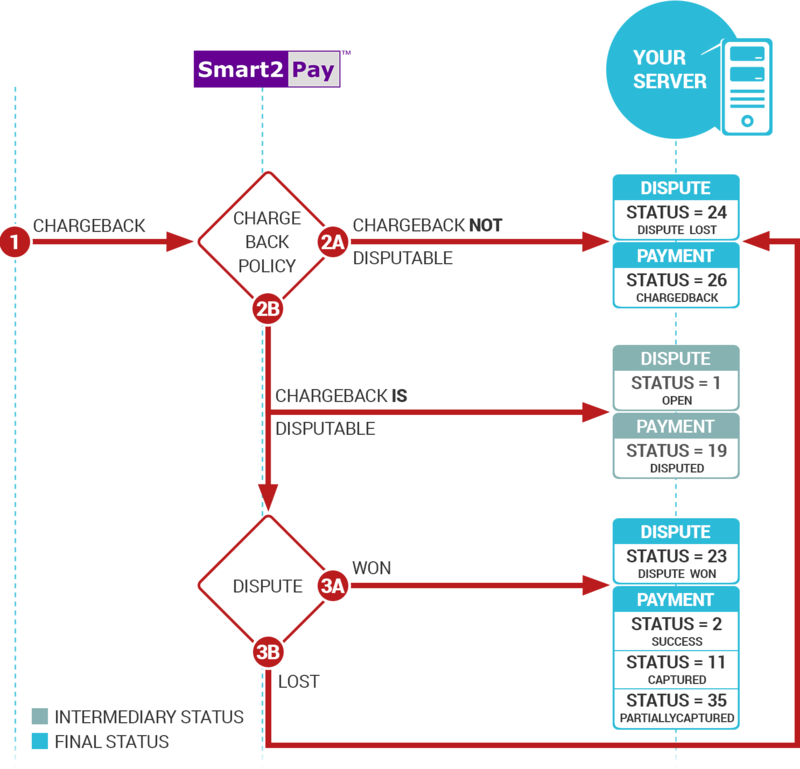 Notification type Payment, in which according to the status of the Dispute we will notify you about the new status of the Payment, it can be either Success – 2 / Captured – 11 / PartiallyCaptured – 35 / Disputed – 19 / Chargedback – 26.